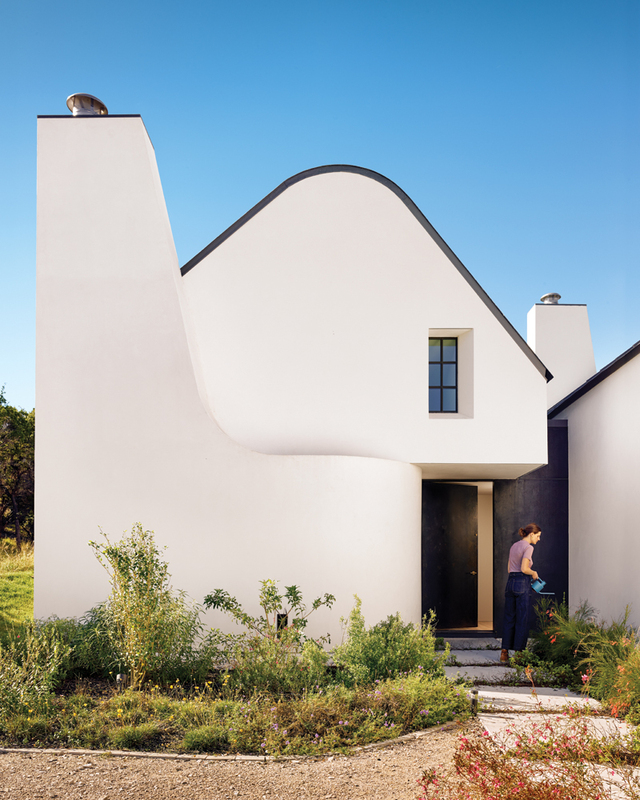 Located on an expansive site in the hills of West Austin, the Tumbleweed Residence’s abstracted, undulating stucco masses stand in contrast to the more tactile nature of the interior’s steel, concrete block, and wood finishes. 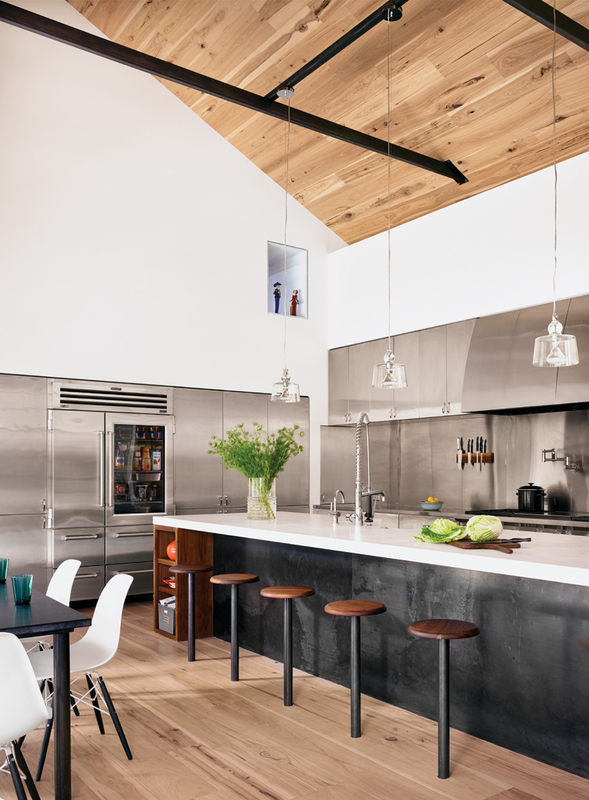 Careful detailing and craftsmanship illuminate qualities inherent in the home’s simple material palette. “The Tumbleweed Residence stood out not only for its use of masonry, but also [for] the fact that those two volumes really create a very beautiful sculpture,” Vivian Lee says. “We loved that it follows the Texan shed typology but re-dresses it with this new material that is quite thick. 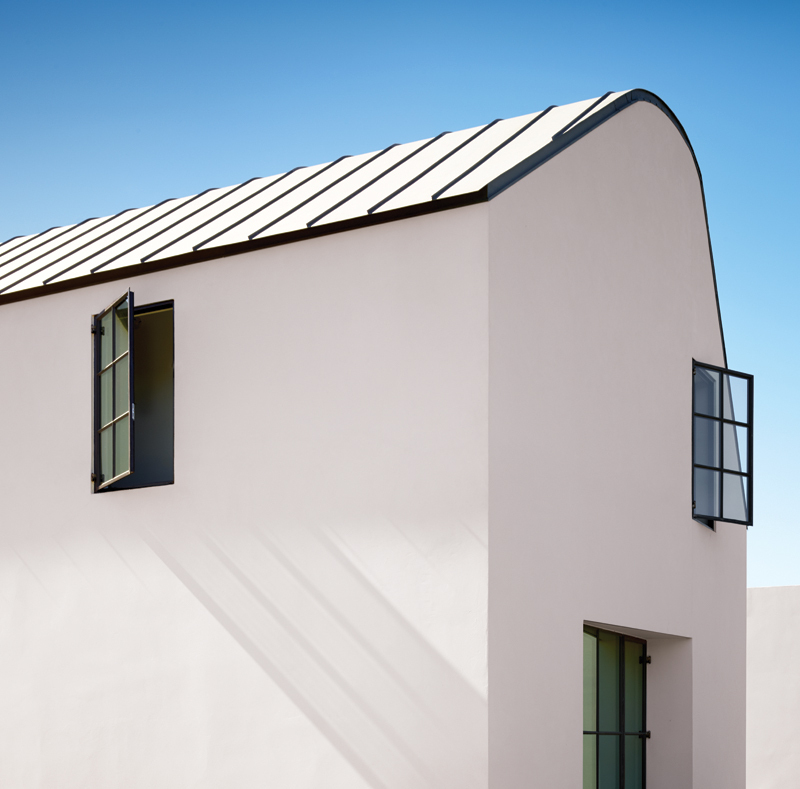 You can see it in the way that they address the windows, which are far recessed from the face of the building.” Lee’s favorite detail, however, was the ordered way in which the standing seam roof meets the undulating stucco walls: with a clean finish that allows the masses to sing as sculptural volumes. 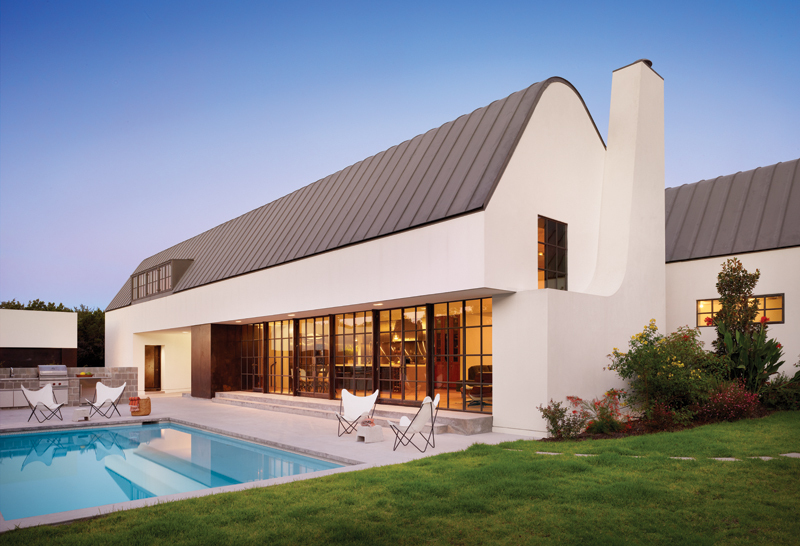 Evidence of the craftsman’s hand is found throughout the Austin home: in the welds of the custom steel windows; in the tool marks of the waxed hot-rolled steel panel at the kitchen island, and in the hand-turned walnut seats of the barstools. Anastasia Calhoun, Assoc. AIA, works at Overland Partners in San Antonio.